The readers of the leading journals in tourism, Travel and Leisure travel world (USA) voted Hanoi is one of 10 most attractive cities in Asia according to the criteria of landscape, culture and art. And it is not the first time that thousand years of culture capital is enrolled in the "map" the most attractive destinations in the world. It is no coincidence, the vote of Travel and Leisure is held annually based on the readers’ opinions to give 500 best travel addresses in the world, choosing Hanoi as the most attractive destination in Asia. According to the Department of Culture, Sports and Tourism of Hanoi, the vote is that the Travel and Leisure introduced to evaluate the quality and comparison between the cities, based on 8 basic criteria such as tourism, food, shopping people, services, culture, quality of life, the best time to travel and see nightlife in the city. With 1,000 years of ancient and peaceful history, attractive natural landscapes, friendly people, good food, hospitality, the shopping attractions ... Hanoi has met the criteria that travel magazine gave. 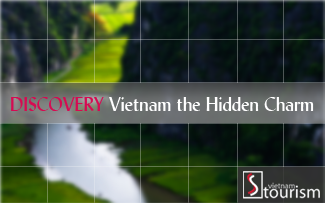 Therefore, Hanoi has ranked the top 10 Asian destination of the votes since 2005. And during 7 consecutive years, thousand–year-old capital always keeps a honourable that readers in the world voted. As a city with long history, cultural traditions and rich diversity, Hanoi has become one of the destinations that attract tourists in Vietnam. Hanoi people are proud and do not forget to remind each other in the effort to preserve the ancient city which is always bright, green, clean and beautiful. The capital citizens understand and fully aware of the advantages that ancient city where is the top of Vietnam on the vestiges are ranked, with an average of 2 vestiges /km2. Hanoi has 36 streets with old houses, though the modern life has changed much, but crowded streets and lifestyle characteristics of Hanoi is the attraction of foreign tourists. The experience after each journey discovers the beauty of the ancient capital to make more foreign tourists who love this land. Besides Travel and Leisure, from 2007 - 2010, Smart Travel Asia magazine voted Hanoi is one of 10 most attractive tourist destinations in Asia. On the other hand, since 2006, MSN information networks have evaluated Hanoi ranked third in 10 cities with the most attractive culinary in the world. With the same joy with those devoted to tourism capital. Mr Duong Mai Lan, Vietravel Tourism Company representative in Hanoi shared, it was not easy for the leading journals in tourism and travel in the world to rank Hanoi capital with such a great honourable name. The company has hold many tours to 1,000 years old city for foreign tourists who travel to Vietnam that Vietnam guiders are proud when the guests praised the ancient beauty and modern location. "Hanoi was honored as an attractive place in Asia, it deserves” Mr Duong Mai Lan said. Although many consecutive years have been honoured one of the 10 most attractive cities in Asia, compared with the available potential and advantages, the tourism needs more efforts to not only be voted in a prestigious journal, but also appeared, to be honored, recognized by many magazines in the continent and other organizations in the world. Hopefully, in love with Hanoi, everyone should contribute the ability to the Party, government and Hanoi people to build the capital Hanoi is actually a tourist attraction center of the countries and regions, turning tourism into a spearhead economic sector of the capital.